Debating the differences between the sexes has been a constant source of entertainment since time immemorial. So is there any truth to the dispute that one gender makes for a better feline friend than the other? Behavior is affected by many factors, both internal and external. And when it comes to cats, much of the way they act is instinctual. However, many cat owners can attest to the fact that environment plays a huge role in behavioral patterns, too. A properly socialized cat, male or female, will display a friendlier attitude than one that has never been held by a human. Similarly, a cat that has been raised from kittenhood around other animals is more likely to be comfortable in a large household with dogs and other felines than one that has grown up as a one-owner, child-free kitten. Gender plays little or no role in how an environment might shape a grown cat’s behavior. Before neutering, male cats are prone to urinating on furniture, floors, walls and other areas in order to mark their territory. 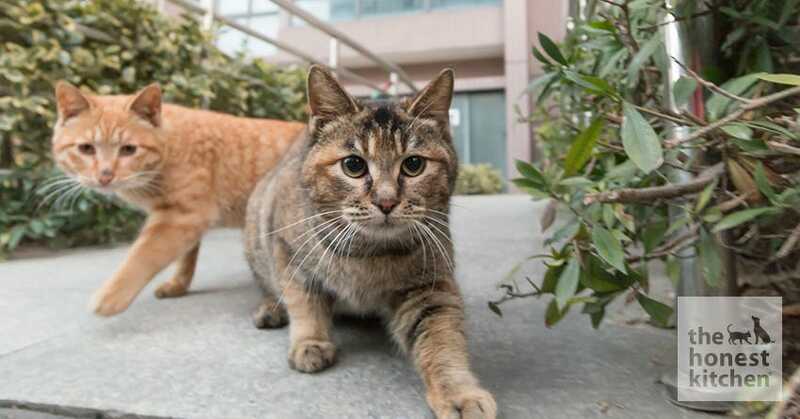 They spend their time seeking out female mates and will aggressively defend their home from other male cats in the neighborhood, particularly those left outside. For these reasons it is highly inadvisable to have an unaltered male cat in the home. Unaltered females, when in heat, will prowl relentlessly in search of a mate, but they tend not to show aggressive behavior like their male counterparts. They will, however, yowl and cry incessantly which can be a real pain for those in their vicinity. Caring for them often requires higher vet bills due to risks and complications they experience while in heat. Of course, there’s also the probability they’ll get pregnant. Some owners and behaviorists argue that there are distinct differences between male and female cats, but only when the cats are intact. Males, for instance, are typically more aggressive and likely to display dominant behavior before being neutered. Females, on the other hand, can display behavior that might seem more nurturing since they spend a large portion of their lives taking care of their young–intact female cats can have up to three litters a year. After the surgery, demonstrable changes can occur. Male cats do develop a more laid-back personality after neutering and are often seen as the more playful and cuddly gender, by some. Females also seem to revert to a more relaxed demeanor, which might not seem as noticeable because they tend not to show much aggression to begin with. However, females are often stereotyped as being more standoffish and having “catittude.” Much of this likely has more to do with breed than gender, however. When it comes to cats there’s no real difference between the behavior of a cat that has been spayed or neutered. Both can develop a wide array of personalities based upon the environment and the behavior of their owner. A female cat can be aloof or friendly, depending on how she’s raised. The same goes for males. Unaltered, however, you’re dealing with a host of frustrating issues and personalities that often are generally not compatible with domestic living. Why Is Your Pet Afraid of a Particular Gender?